Within Microsoft Project Server, a resource plan is a forecasting tool for estimation, used at the early stages of project initiation. It’s a way to estimate resource capacity where projects are in different state, in other words, it helps you to define high level resource needs for each project or initiative. Because you can use it during early stages of projects, there might not be any task or WBS defined yet, some projects might be just proposed and not handed over to Project Manager. More often, resource plan utilize resources that are generic just to get some idea of capacity. Using named resources might also help resource managers to understand their team’s availability and capacity. 1) First you create a project: Open the Project Center on PWA and create a new project. Select the resources you would like to add to your resource plan. You can easily filter generic resources by clicking on column header. Once all team members are selected, click on Save & Close. 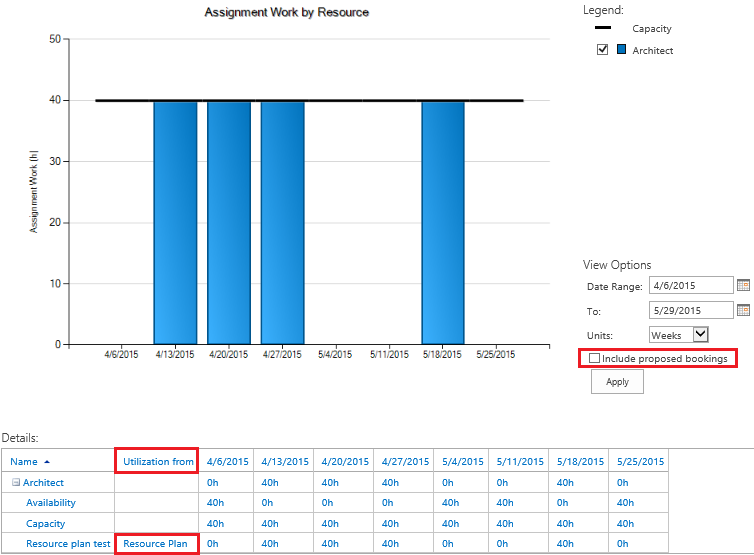 4) Back to the resource plans page, you can customize your resource plan. For our example, we will chose from Resource plan. Be careful, the default value is Project Plan. Second element to configure is the Date Range. You have to estimate your project start and end date. Based on my experience, you can use previous project’s lessons learned to estimate project duration. This is called the “Historical analysis” technique. 9) Publish your resource plan when you are done. Once published, it’s part of the resource utilization. Let’s see this. 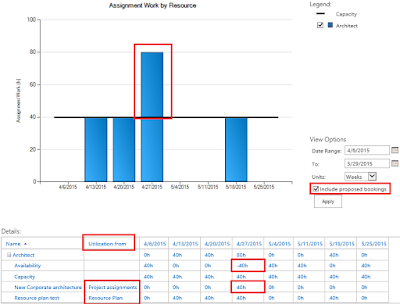 10) Select the Architect role and click on Resource Availability button. 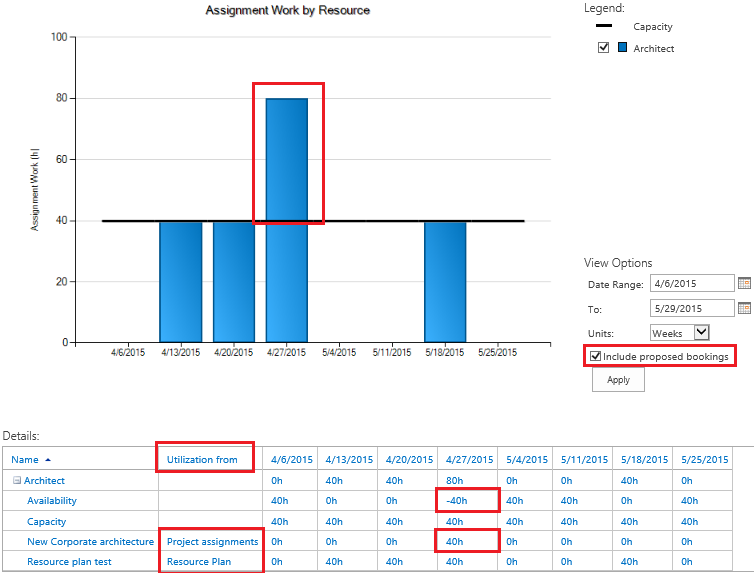 If only committed resources are displayed (Do not include proposed bookings) you can see the assignment work of the Architect, with no over allocation. On the table below, you see also the utilization from (Resource plan). Including proposed booking, you see our architect has been proposed for one project (New corporate architecture) which make him over allocated. This is a very useful tool for resource managers. 11) Next steps? When your project is approved, you can easily move resource plan’s team to project team. Resource plans are the main input to the Portfolio engine when the portfolio analyst or PMO start evaluating proposals. Resource analysis is mainly based on resource plans as projects are not all yet authorized. Nice information and can you explain about How do you save a Microsoft Project file as a PDF?